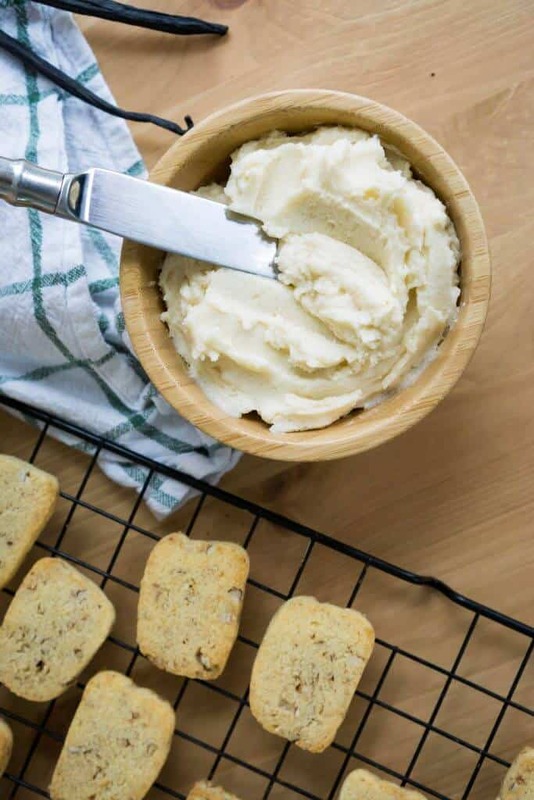 Nevermind that the holiday season is always right around the corner, these Keto Frosting recipes are a great recipe to have in your back pocket at all times of year! Holidays aside, there's always a birthday, kids bake sale, random event at a friends or just a perfect dessert after dinner kind of night where you only need a couple minutes to whip this low carb frosting up! 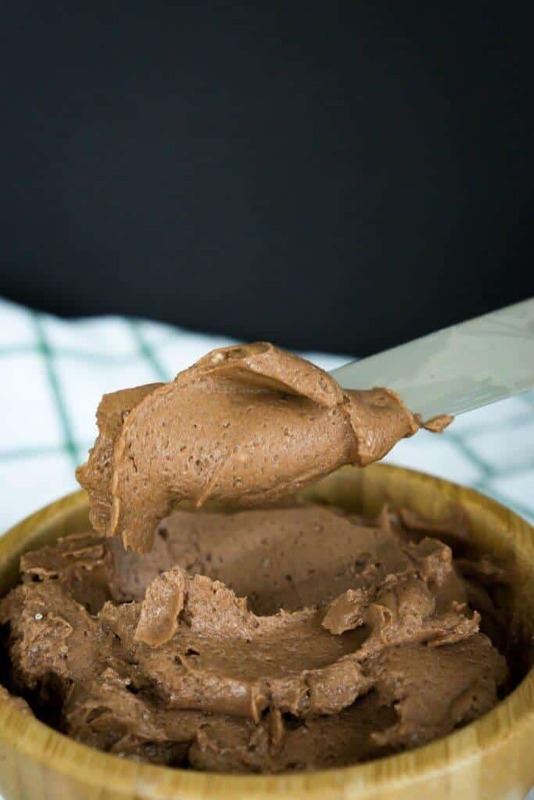 The Easiest, Low Carb Buttercream Frosting Recipe! With only four or five ingredients it really can't get much easier. OH, wait! It can. All you have to do is add them into a bowl and mix with your hand mixer. Perfect, fail safe, keto frosting any time you need it. A good tip with any frosting you make, whether it's low carb or not, buttercream or cream cheese, it's important to use confectioner sugar! So, you can either buy confectioner sugar or powder your own erythritol, which is what we like to do! We are always baking so we like to buy erythritol in a 5 pound bag. The reason we don't buy confectioner is because it's normally more expensive and you don't always need it powdered. For example, our chewy chocolate chip cookies use granular erythritol! However, with frosting, you don't want that granular grit. The greatest part about making vanilla buttercream frosting is that if you have any leftover all you have to do is add some cocoa powder, and it is instantly transformed. Personally, Matt and I are chocolate people so we always go for a vanilla cake and chocolate frosting. Our favorite duo is this chocolate frosting on our protein cakes. Protein cakes are just as guilt free as these keto frosting recipes! Less than 1 carb per slice, topped with a buttercream frosting gives you the perfect balance of fat and protein in dessert form! Does it get better? 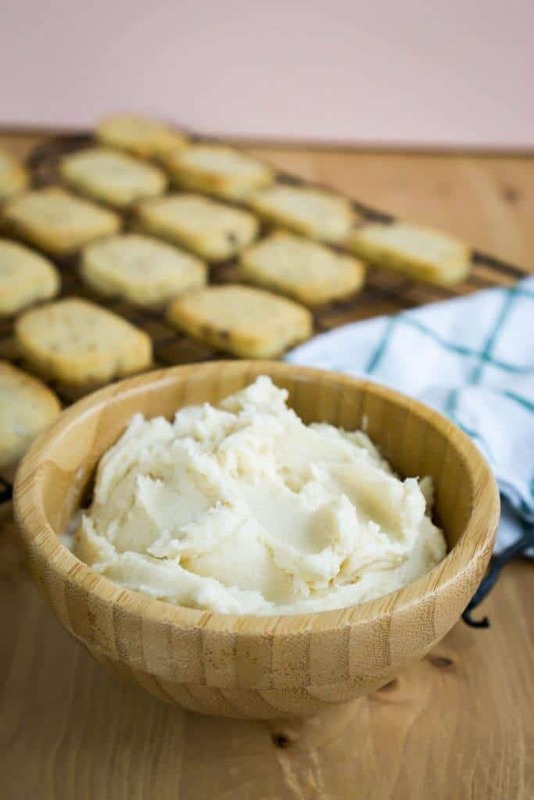 When a recipe is this easy, delicious, and low carb why not have it on hand in your kitchen at all times? Heck, this is such an easy recipe I know it by heart. We are always making desserts so frosting is always on the menu. Brownies? Need frosting. Donuts? Need frosting. Chocolate muffins? Always need frosting. So go ahead and make both of these frosting, bake up some protein cakes, and you decide which keto frosting is your favorite! 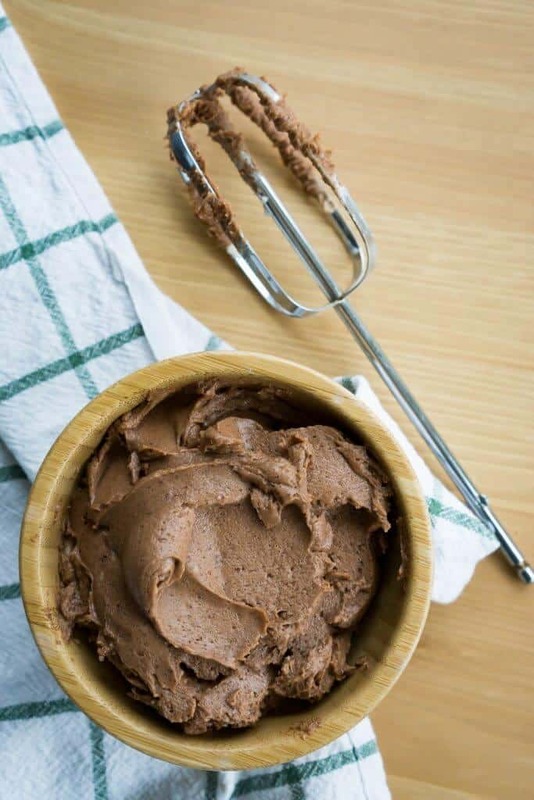 Recipe can be quickly added to MyFitnessPal - Search "KetoConnect - Keto Vanilla Frosting"
Recipe can be quickly added to MyFitnessPal - Search "KetoConnect - Keto Chocolate Frosting"
Combine the butter, heavy whipping cream and vanilla in a bowl using a hand mixer. In two batches, add in the confectioner sugar and combine with the hand mixture until you achieve and even and uniform mixture. Store in the fridge in a sealed container up to one week. Add in the cocoa powder at the very end and mix in using the hand mixer.